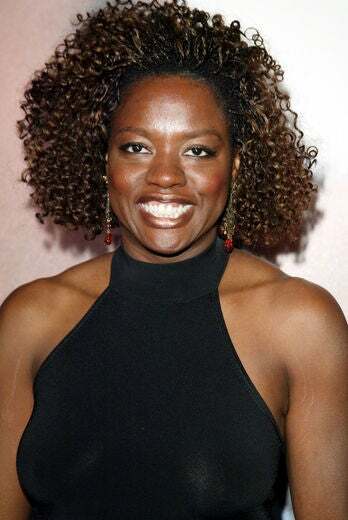 At the “Solaris” premiere, Viola Davis rocked amber-streaked, coily extensions. Davis attended the Theater World Awards rocking a simple, backcombed blowout. Elegant! 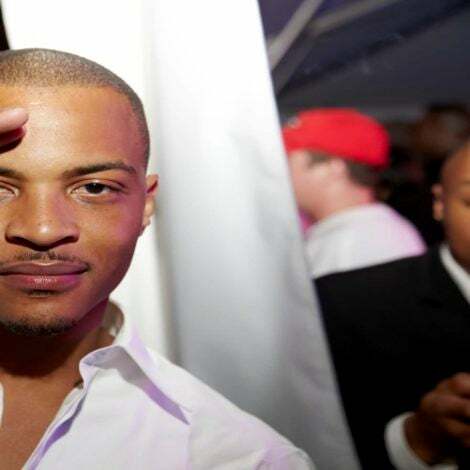 At the premiere of “Get Rich or Die Tryin’,” Davis sported asymmetrical bangs and long, loose waves. Davis hit the 5th Annual Tribeca Film Festival sporting a sleek, shoulder-length shag with honey highlights. At a screening for “The Andromeda Strain,” Davis debuted a sleek, chin-length bob with tousled bangs. Davis sported bouncy, glossy, jet-black curls at the “Nights in Rodanthe” premiere. 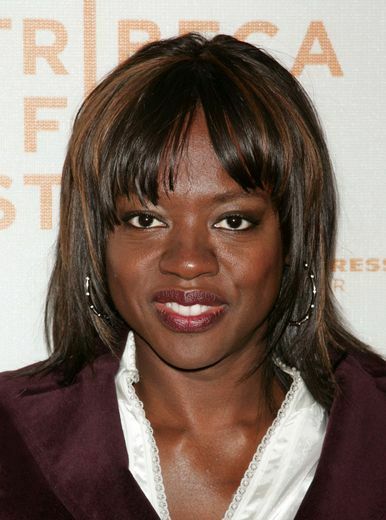 At the “Law Abiding Citizen” premiere, Viola Davis debuted a short, piece-y crop with razor-cut bangs. So chic! 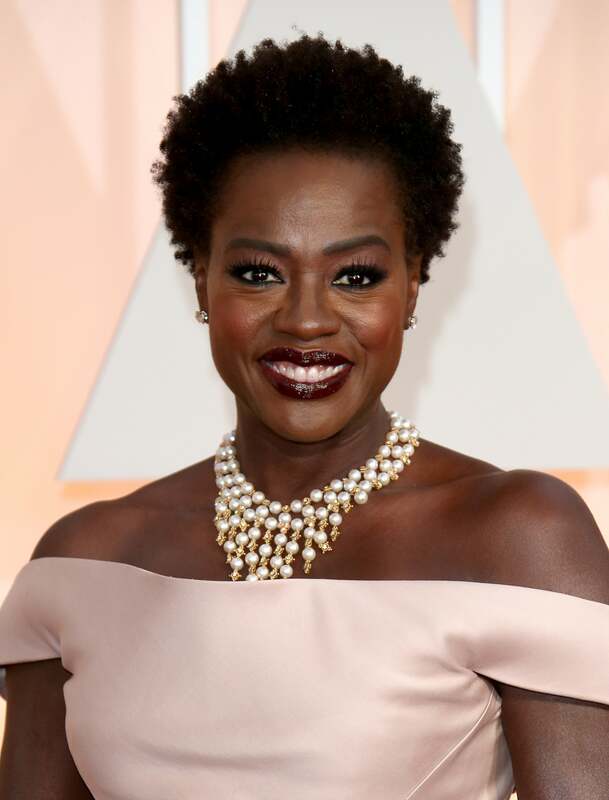 Davis sported soft, romantic, chestnut-hued curls the 81st Annual Academy Awards. At the 2010 Princess Grace Awards Gala, Davis’ cheekbone-length hairstyle was sleek and swept across her forehead. At ELLE’s 17th Annual Women In Hollywood Tribute, Davis rocked an Upper East Side-socialite bob that perfectly flattered her heart-shaped face. 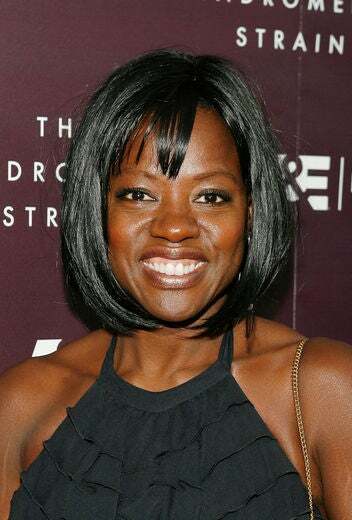 At the Tony Awards, Davis’ jaw-length bob was glossy, healthy-looking and impossibly shiny. 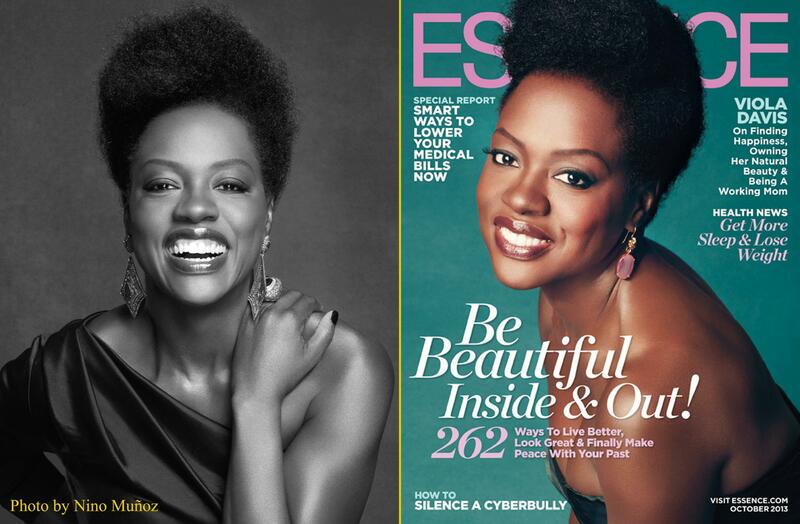 Davis made a big statement by going natural at the 2012 ESSENCE Black Women in Hollywood event. 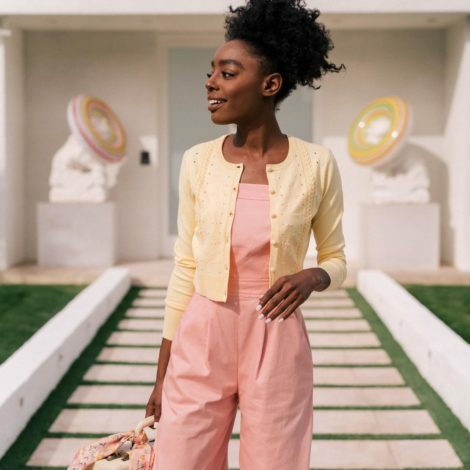 "I feel very powerful, I really do," said Davis, about wearing her natural hair. "I feel more powerful every day, more secure in who I am, and I've waited so long for that... 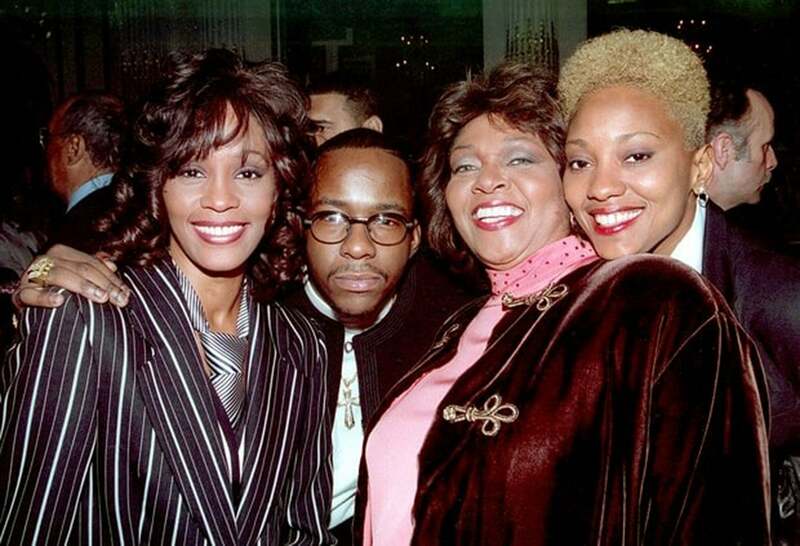 It feels so divine." Davis sported her chic coif at the Academy Awards, and it completely revamped her red carpet look for a bolder, fresher feel. 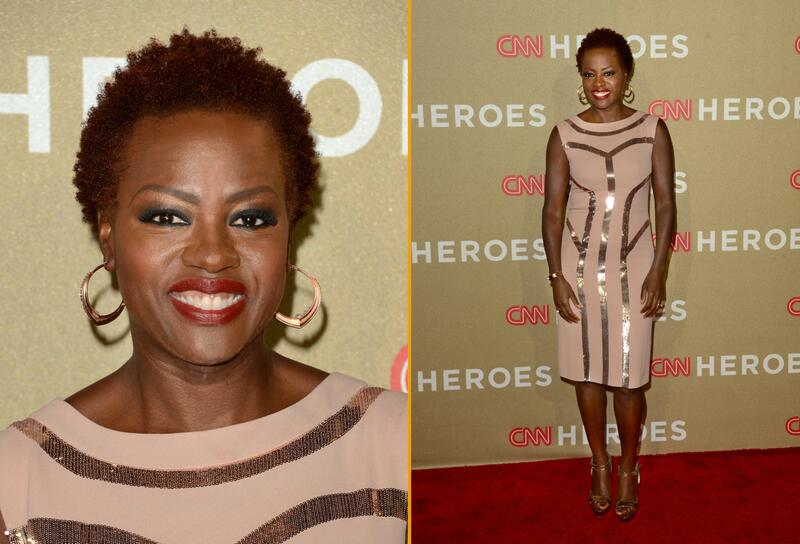 Davis attended the CNN Heroes: An All Star Tribute flaunting her coily, curly big chop. 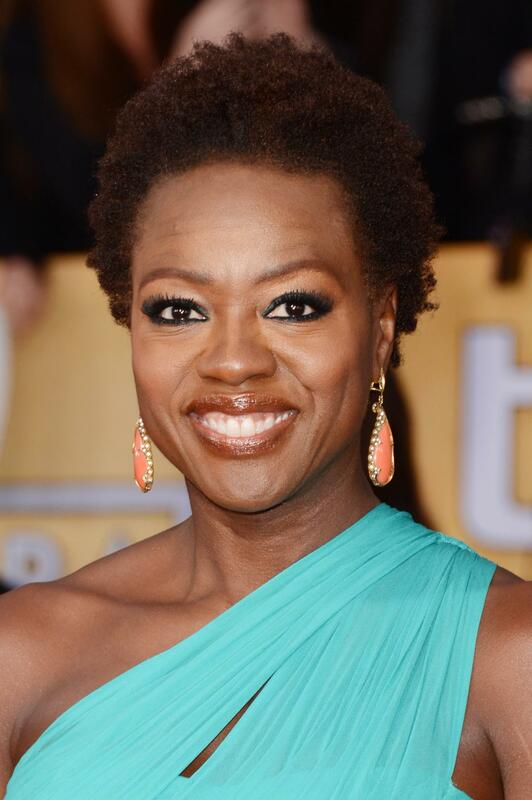 Viola Davis beamed on the red carpet of the Screen Actors Guild Awards wearing her classy, cropped curls. 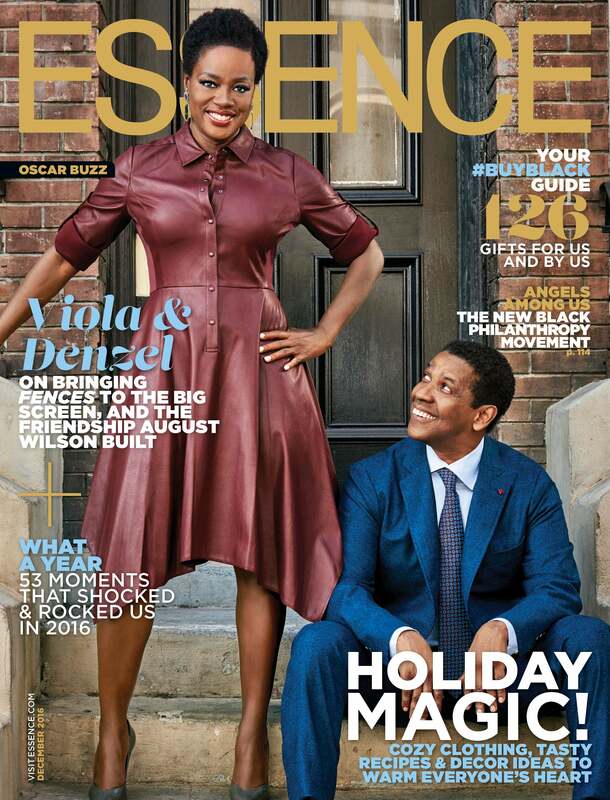 Viola flaunted her beautiful, natural hair for the October 2013 issue of ESSENCE. 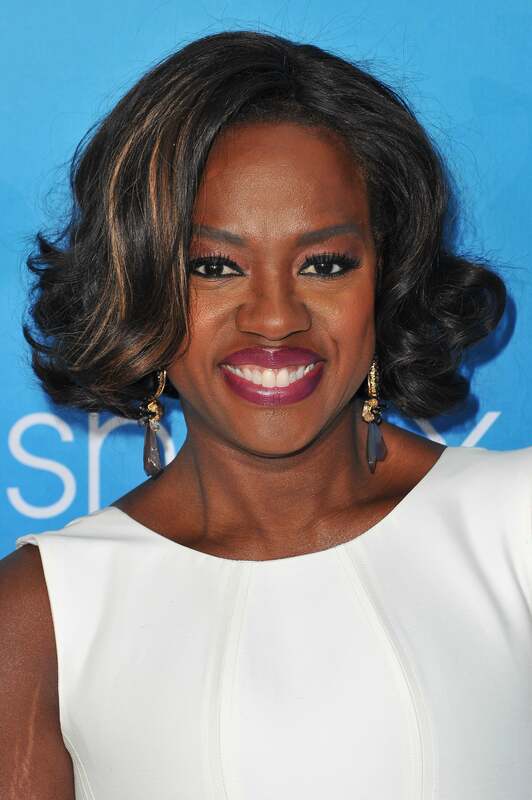 In 2014, the renowned actress stepped out in a series of styles, including this super chic bob. 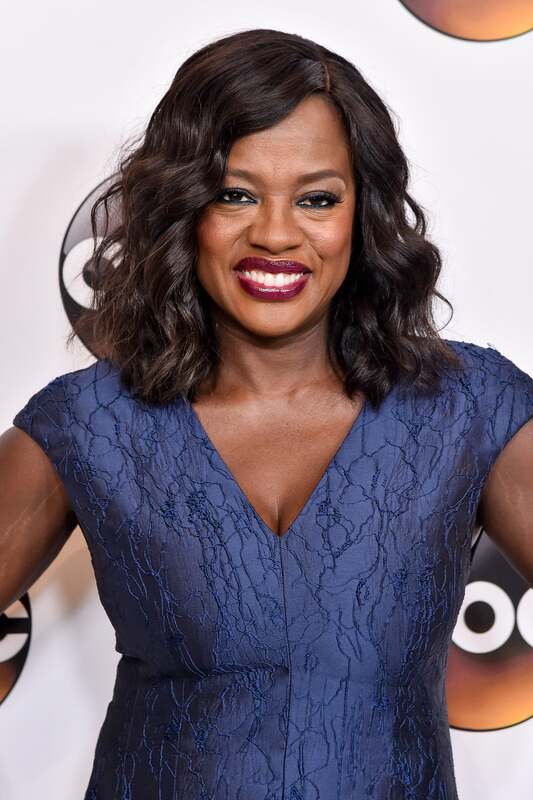 Viola shined on the 2015 Golden Globes red carpet in a fierce-looking bob. 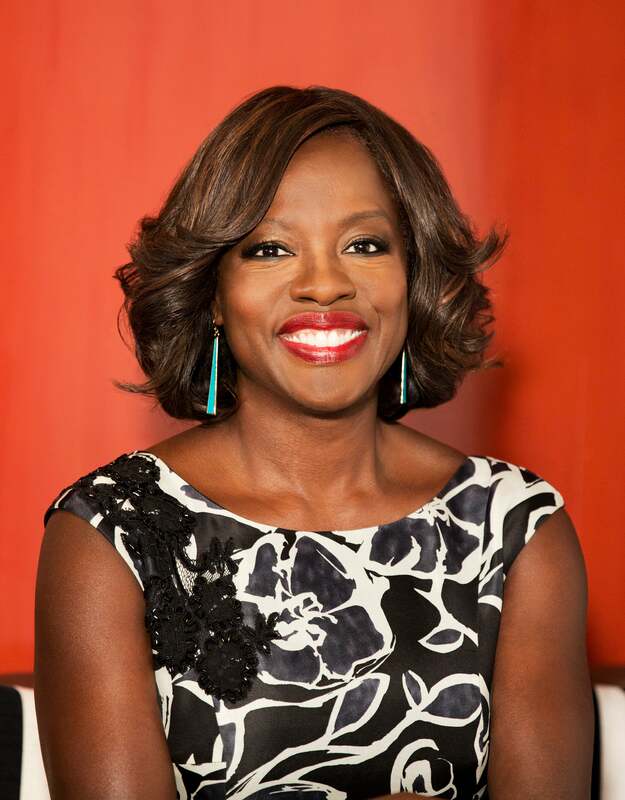 Viola looked stuning at the 2014 Television Critics Association summer press tour. 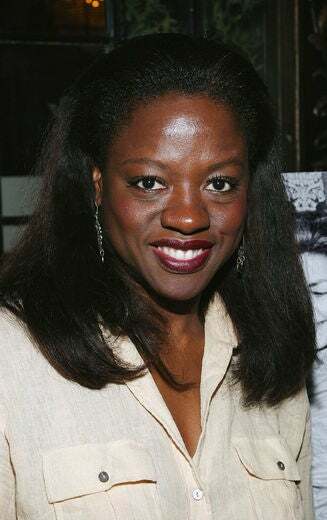 During a 2015 visit to The Paley Center for Media, Viola sported her go-to bob. Super cute! 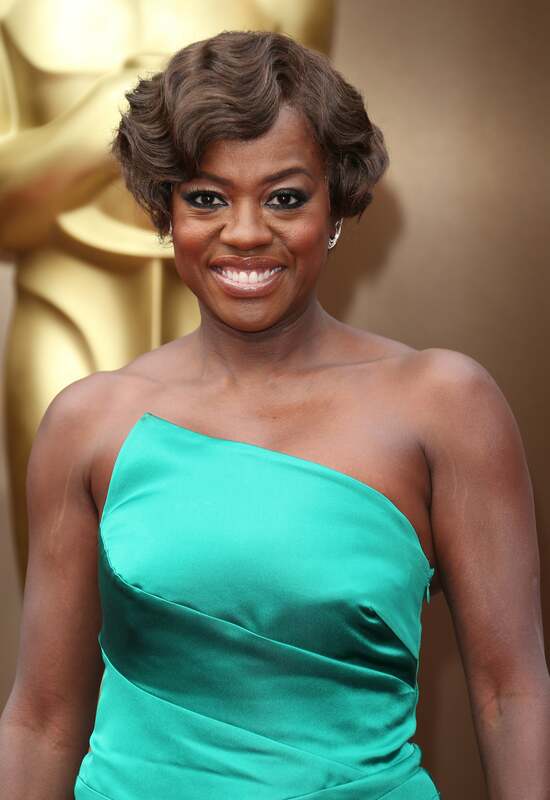 In 2015, Viola flaunted her natural coif at the Academy Awards. 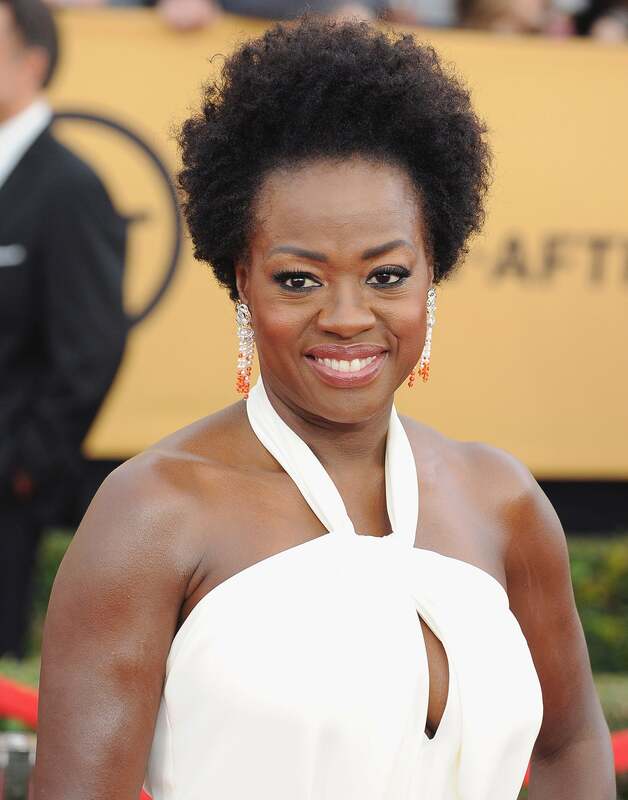 She also embraced her natural hair at the 2015 Screen Actors Guild Awards. Remember when Davis donned this fabulous finger waves to the Academy Awards?! So chic. 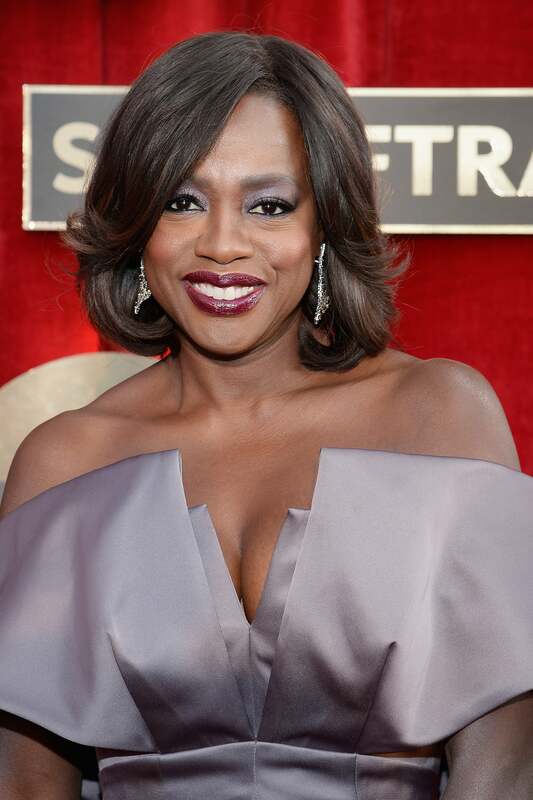 For this year's Screen Actor's Guild Awards, Davis looked absolutely amazing in a purple gown and equally stunning hairstyle. And she's not afraid of a little color either! Loving the subtle hints of brown in her bob. Her wavy tresses look effortless. Continue to slay us with your ever changing hair, Ms. Davis!